Bouncing Buttons crafts making it simple: Sewing 4 my boy. 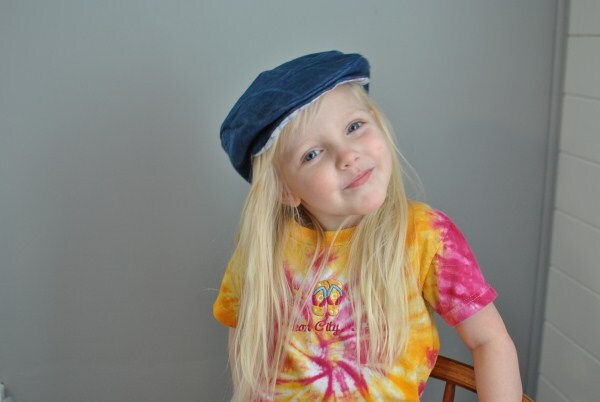 Free hat pattern and tutorial can be found HERE. Honestly, I didn't think I would get this done. It was a hard sewing week! I worked on making a drivers cap pattern most of the week. 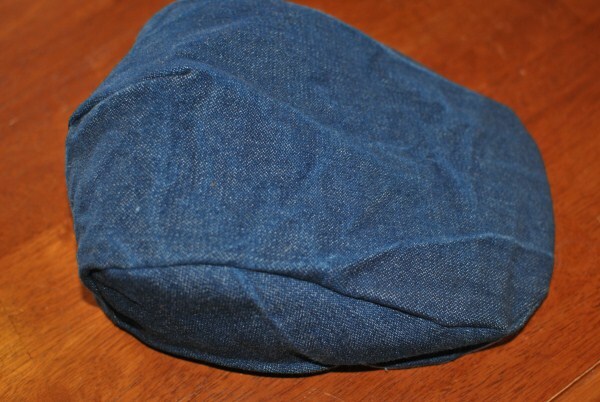 I had plans to make a wool winter coat, a messenger bag, a hat, slippers, a pair of jeans, a shirt and a vest. I could have done it all if I stuck with patterns (boo hoo, boo hoo). 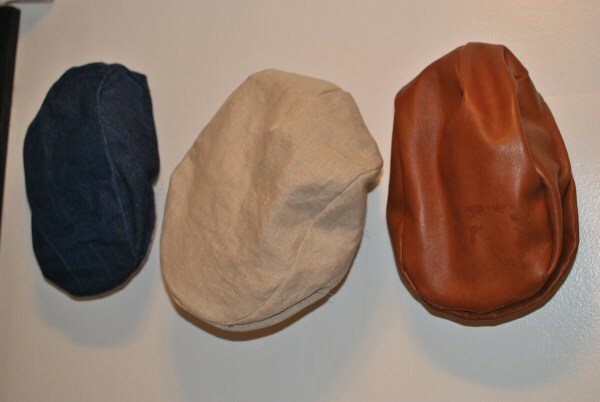 I ended up making 3 drivers caps (one denim, one neutral fabric, and one of leather) along with a messenger bag. The cap pattern drove me crazy. Trying to get a nice fitting hat takes so much time. The good news is I finished it and once I tidy up the pattern I'll post a tutorial for it (sometime next week). 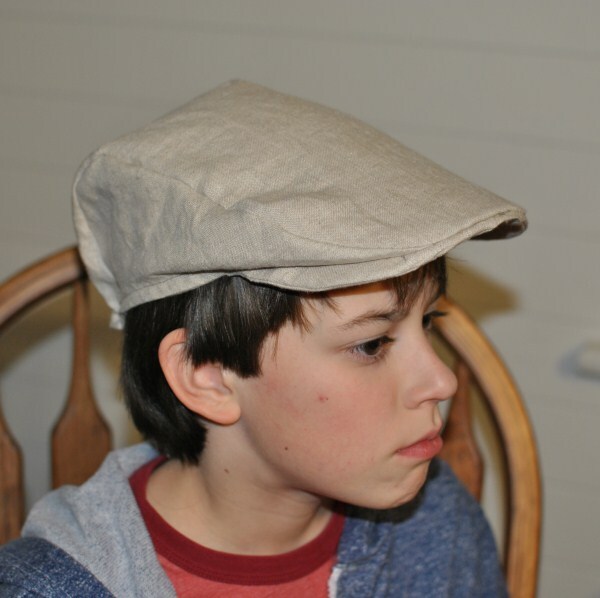 This hat is in the fabric Travis picked. I would LOVE to embroider on it but he won't let me. I feel bad making him model for me when he's sick (poor kid). 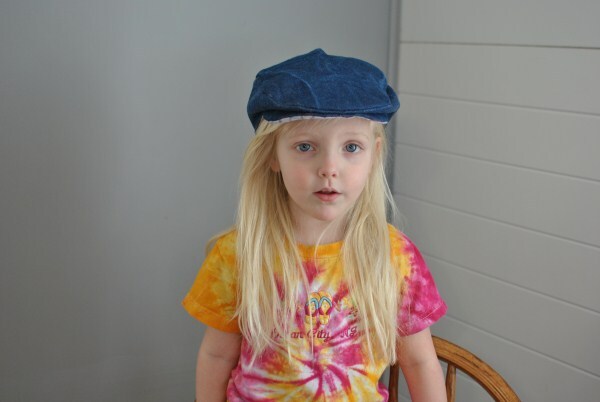 Here's little sis wearing it (I forgot to snap a photo before Travis left for school). After I got my pattern worked out I moved on to a messenger bag and another hat. 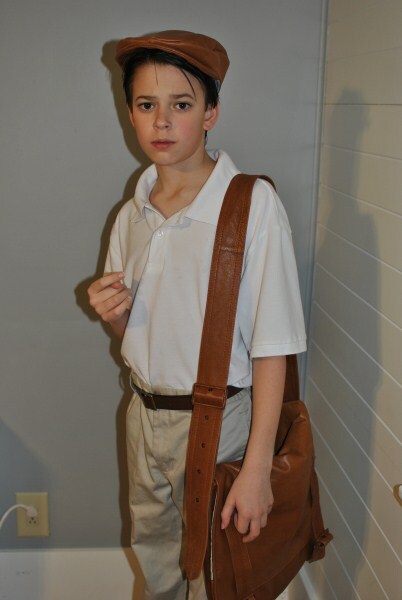 The messenger bag was a must because my son lost the latch for his Lands'End messenger bag this week (I think a girl who likes him took it off his bag). Do your kids loose strange things when they go off to school? Here is my boy at 6:30AM this morning with his new bag and hat (tired and glossy eyed from a cold). The fabric for this project came from a thrifted leather coat. The leather is so nice and soft. 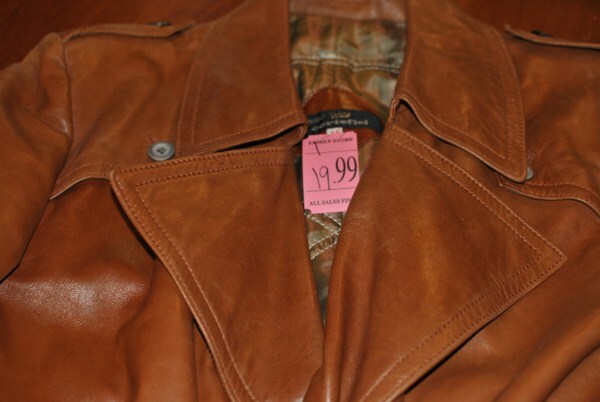 The coat I found at the thrift shop for $19.99. I got it on 1/2 price day so it was $10.00! I LOVE how this bag turned out. 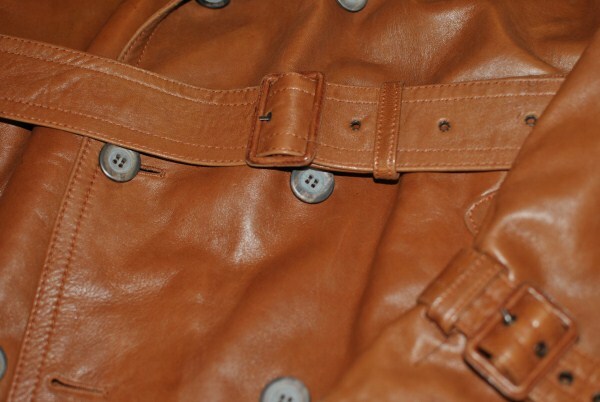 It has two belts on the front to close the flap and a larger belt for the shoulder strap. I lucked out on this because my original idea was to buy some thrifted belts and a leather coat to make a bag, the shoulder strap, and front closures. 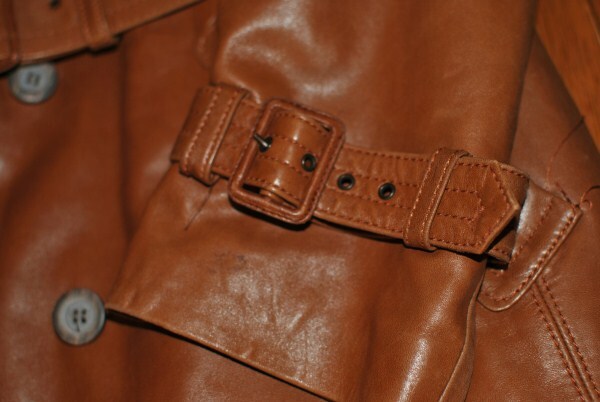 This leather coat came with one large and two small belts! Each wrist had a small belt making it the PERFECT coat for this project. 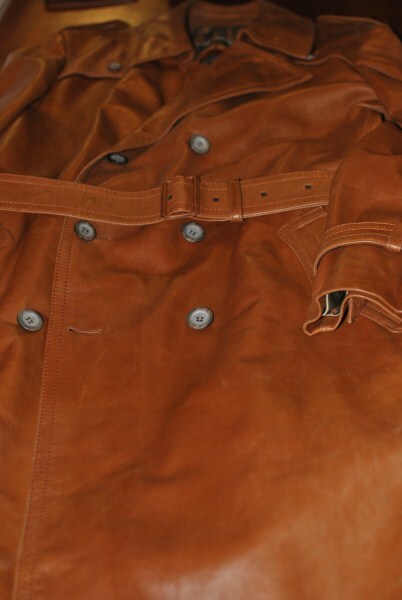 Here's a photo of the original coat sleeve. Another showing the large belt around the waist. 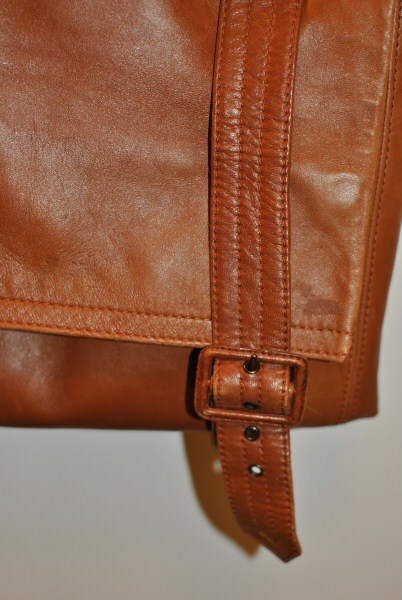 Here is a close up of how I used the small wrist belts on the messenger bag. Late last night I was ready to call it a night after finishing the messenger bag but 24 Hour Catwalk came on TV and I felt energized. I felt like I could stay up all night and sew with the people on the show. 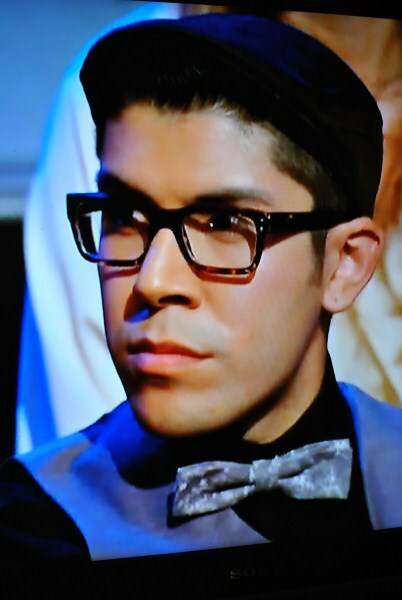 Not only that but Mondo on Project Runway last night was wearing a leather driving hat! I felt like Mondo was telling me to make another hat in leather. He told me I could keep sewing and get it done before morning. Last night I broke a LOT of needles. Breaking leather needles isn't an easy thing to do on a normal sewing day. Things broke, stuck, and jammed... I stole some of my husbands plumbing stuff out of his toolbox (I used some Teflon tape on my machine to use for a quick fix for the leather sticking problem). I had to make some rather crude sewing tools after midnight (hubby knocked over my sewing box and I was missing a few things). Do you know if you don't have that tool handy that lifts up your presser foot to sew over a bulky seam a small needle box will work in a pinch? 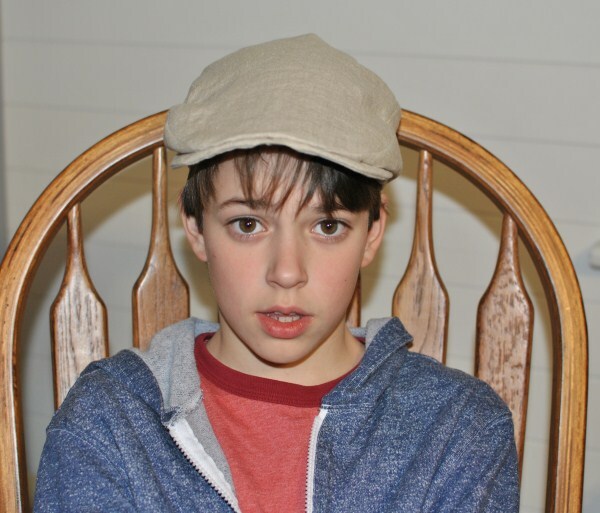 Here is a photo of my boy in his new hat. He's on his way to school. Did I mention he woke up with a cold? I see he didn't dry his hair this morning after his shower. Wet hair+winter weather= sick child? I'm very tired. I feel like I was in all the TV competitions I watched last night. I was sewing when Project Runway came on at 8:00 PM (last weeks show). I kept sewing during the new episode at 9:00 PM. I remember seeing 24 Hour Catwalk and Dance Moms. Then I saw both Project Runway All Stars again! I think I turned off the machine around 2:00-3:00AM. I'm feeling happy with what I've made but yet sad over what I couldn't get done. Instead of sewing the rest of the things on my "sewing for my boy" list I think I'm going to turn on sesame street and curl up on the couch with this child for a little morning nap. Please forgive the very poor writing today. It's hard for me to think/write when I'm tired. 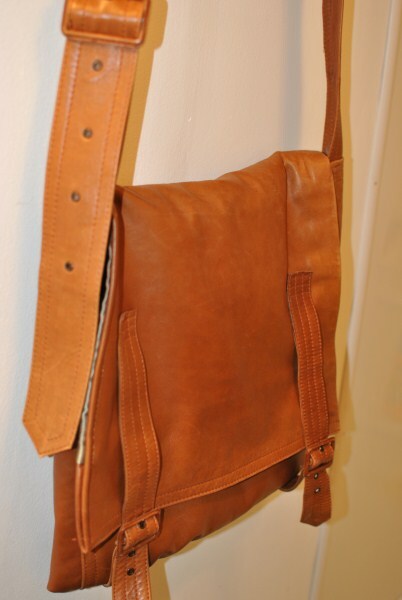 BTW, I love this messenger bag so much I know I will be making myself one real soon! I plan to look for some leather more worn out and old looking to make myself a bag. Amber they look great. I would love to see your tutorial for the hat. 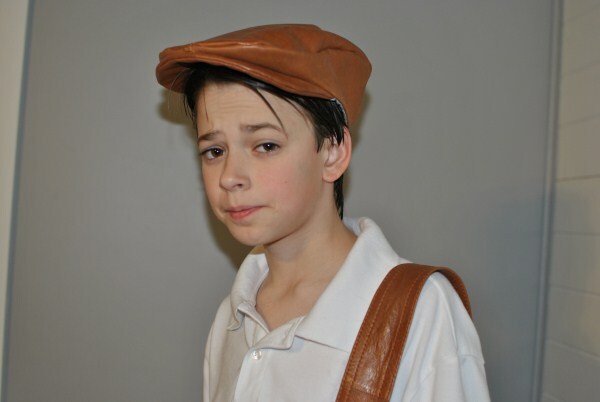 Sam would love a hat like that. I really, really, really ,love the bag! i simply like the style. Wanna be different, and stand out from the crowd? Wear a leather messenger bag For Men from Soulful Collection, and see how your personality goes from 'zzzz' to 'zip zap zoom'!